What do you know about Chabad? Is it a myth or fact? You just might be surprised! Chabad is for religious Jews. You have to be "Orthodox" to participate in programs offered by Chabad. Chabad is inclusive and non-judgmental, and our programs are open to all. In fact, the vast majority of students who participate in programs at Chabad are not “Orthodox”. Our programs are geared for students and faculty of different backgrounds, including those with little or no prior Jewish involvement. The teachings of Chabad are imbued with the renowned Chassidic spirit and joy, but in no way is the commitment to an Orthodox or Ultra-Orthodox lifestyle a prerequisite to one’s acceptance or participation at Chabad functions. In fact, I think Chabad is in many ways quite unorthodox! Chabad is for non-religious Jews. I am already involved. FACT: Chabad is there for every Jew, from people who don't even know they are Jewish to ultra-Chassidic fully observant Jews. We all need inspiration, joy and enthusiasim in our lives, which is what Chabad teachings provide for everyone, regardless of one's level of religiosity. Chabad’s goal is to make me Orthodox/Chassidic/Chabad. Chabad is not out to make anyone "orthodox" or "chassidic." Chabad is an organization dedicated to engaging every Jew, regardless of background, affiliation, or personal level of observance, and providing resources to help increase their level of Jewish knowledge, enthusiasm, and commitment. Chabad invites you to explore the complex areas of Jewish religion, tradition, and practice in an open-minded and non-judgmental atmosphere. All of Chabad’s classes, programs, and services are designed to heighten the awareness and lend valuable insight into one’s heritage, traditions, religious practice, laws and rituals. Each individual is invited to participate, study, and learn. Each individual makes his or her own respective religious, lifestyle decisions at his or her own pace. Chabad does not consider Reform, Conservative, or non-practicing Jews as "real" Jews. What?! Nothing could be further from the truth!! At Chabad a Jew is a Jew is a Jew! Chabad avoids labeling other Jews, since it tends to divide and create artificial barriers between us. Since the days of Moses, Jewish Law has considered anyone born of a Jewish mother or converted in accordance with Jewish Law - Halacha to be a Jew, regardless of his or her degree of observance. Chabad does not support the state of Israel. Chabad strongly supports Israel and is deeply involved in defending its right to exist. Colel Chabad is one of the oldest charities supporting the Holy Land Israel, established by the first Chabad leader, the Alter Rebbe in 1788. Chabad established communities in Hebron and Jerusalem as early as 1820s. The Lubavitcher Rebbe is the strongest and most uncompromising supporter of territorial integrity and security of Israel. 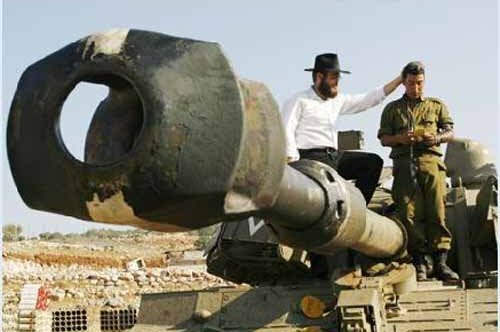 Many “Chabadniks” serve in the Israeli Defense Forces and others contribute practical and spiritual support to the troops. Many Chabad-Lubavitch students (including Dovid Gurevich:) complete their education and rabbinic training in Israeli Yeshivas. Chabad has established several towns in Israel and has large comminities throughout the land. 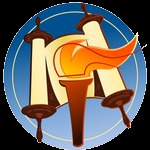 Chabad also has a network of over 220 centers throughout the length and breadth of Israel that is at the forefront of assisting the IDF soldiers, terror relief efforts, mitzvah campaigns strengthening Judaism in Israel, and fostering love among the Jewish people, as virtually any Israeli citizen and soldier can attest to this fact. Chabad is financed by its headquarters in New York.